Early pregnancy, noninvasive paternity testing is a frontier which medicine is just now crossing. Yet, it’s been advertised on the Internet for some time, a fact which speaks in part to the level of unscrupulousness possible online. However, science is finally catching up with advertising. The new tests are here. Prenatal diagnostic tests have been used for several decades now, yet not without the possibility of causing an early and unwanted termination. Therefore, protocol has been to use them solely for ruling out serious fetal disorders. With the latest, more user-friendly tests, a doctor is often unnecessary. 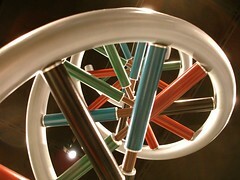 DNA from the fetus is matched to DNA present in the mother’s blood, with samples required from both mother and presumed father. This newest standard in prenatal screening should replace older methods used to discover diseases, such as Down’s syndrome, and could lead to regular mapping of fetal DNA. Specific to backing that point, the Ravgen paternity test has at least one clinical trial published in the New England Journal of Medicine. A limited array of cases, under fifty in all, was used for the study. In each case, the test selected the correct man as the father. Natura has no such trial on record. The American Association of Blood Banks, (AABB) which provides accuracy certification for those wishing to qualify items for use in child custody procedures is, according to its’ Senior Director of Policy, Eduardo Nunes, deciding as to whether to certify prenatal screenings. To that end, although Natera has advanced an application, neither company’s test has been certified. While it is difficult to codify the anxiety felt by pregnant women unsure of the paternity of their unborn child, certain statistics are telling. For example, nearly 10 percent of the birth certificates in Florida do not list a biological father. One woman who is optimistic that the new noninvasive paternity tests, which can be used as early as the second month of pregnancy, will help pregnant women with their stress levels is Sara Katsanis, an Associate of Research for Duke University. Katsanis is embarking on a study with one of the prenatal screening companies to observe whether prenatal paternity testing can be shown to positively affect pregnant women’s stress levels. No one argues the acquisition of a prenatal paternity test that is both safe and accurate can significantly alleviate stress for parents-to-be. It is in other areas that the ramifications of the tests may prove both interesting and less black and white. For example, currently the covering of prenatal care for unwed mothers is not an issue of child support. Law professor, Shari Motro, explains it this way; “until and unless the pregnancy produces a child, any costs associated with it are regarded as the woman’s personal problem.” Some suggest early prenatal screenings could change that, realizing, of course, there will always be those who will attempt to find legal means to avoid being tested. Others suggest the tests may result in more abortions. Interestingly, Matthew Rabinowitz, a chief executive acting as spokesperson for Natera, asserts that were a woman intent on ending her pregnancy based on the results of their test that would not stop them from selling her one. Already the AABB realizes the tests’ potential in the courtroom. And in fact one murder trial has already made use of Ravgen’s paternity screen in an attempt to establish motive. In the meanwhile, though the verdict remains out as to the long-term ramifications of the newest prenatal paternity tests, mothers-to-be may get to feel just a little more secure, while some fathers-to-be may have to face up to being revealed and supplying some of that security. About the author: Jessica is a blogger for Home DNA, a dna paternity testing company.